Music has long been associated with entertainment. What started as a journey to explore oneself through classical music has ended up restricted to concerts, Films, albums for a major part. Music has been an integral part of spirituality. Kirtana, bhajana, all are used to express our devotion towards God. Bhajana means, to constantly sing, and here means sing praises of Lord. That’s why we have great devotees, Tukaram, Kabir, Buleshah who are known to express their love through hymns and dohas. In fact, it is said that our mana, gets attracted towards music. Or in other words it has great liking for music and therefore, to tame this mana, music has used the weapon. 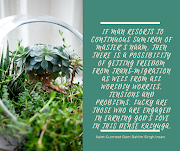 It might be adamant, on running after desires, and sleeping, etc. But with music, it just can’t resist. Knowing this quality of mana, Dera Sacha Sauda has been long following the practice, of doing Satsang, based on hymns. Musical hymns are weaved in pieces of music, sometimes, Bollywood, sometimes original and sung during Satsangs. And devotees are able to remember the sermons of their master, through these musical hymns. How fascinating! 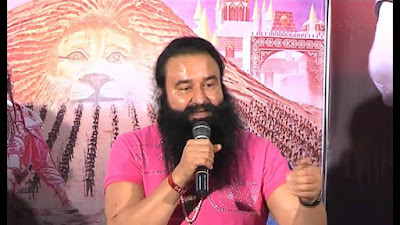 Baba Ram Rahim has taken the music highway and drove his disciples to the pinnacle of God’s love. His “highway love charger”, was a revelation to the world. Everyone was spellbound at the high pitch this Saint, could pitch. His song was an internet-sensation, with people brushing it aside, as too loud and fast. In reality, if music legends are believed, the pitch and tone is a very difficult combination and even professionals can’t attempt a similar thing. This Baba is no ordinary guy though. He has done everything extraordinary, all for his Bhakts. He has done more than 100 spiritual concerts. 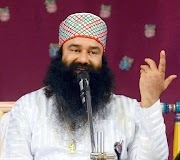 That’s right, spiritual musical concerts, not one or 2, but more than 100 of them, singing non-stop of 6-10 hours, he has taken devotion to another level, by wooing youngsters into pop music, and delivering spiritual hymns as the takeaway. Unmatched combo and you have a true devotee, a youngster, willing to take up spirituality, at such a young age, embracing the love of God. He has even composed his own Songs in all 5 films made by him. The music is the USP of each one of them. Again, each song is high on pop music quotient, and entertainment, and preaching selfless love of God. All his songs, fit well in a romantic scenario, too but he has definitely Sang those, for the love of his life, Almighty. 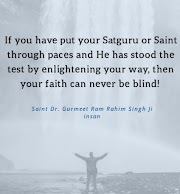 “He is the only one who loves back selflessly and will be there for you, now and till eternity and even beyond”, exhorts Baba Ram Rahim Guru.